Princeton Plasma Physics Laboratory (PPPL), under the U.S. Department of Energy, has rolled out a plasma control equipment, capable of putting a brake on reactor before plasma loses control, marking a breakthrough in the development of nuclear fusion technology. Maintenance of stability of plasma has been a major bottleneck, along with production of high heat-endurance equipment and enhancement of plasma temperature, for nuclear-fusion technology. Nuclear fusion calls for the combination of two isotopes, deuterium and tritium atoms, giving birth to a heavier atomic nucleus and a lighter atomic nucleus, followed by separation of atomic nucleus and electron via raising the temperature of matters for the formation of plasma. Finally, scientists employ powerful magnetic field to control and seal plasma. To prevent breaking of plasma, PPPL carried out multiple experiments, including forecasting and analyzing the behavior of plasma via deep learning, in the hope of making intervention 30 milliseconds (one millisecond is one thousandth of a second) before plasma breaks, or exploration of reaction of plasma, to prevent realignment of magnetic lines into magnetic islands. 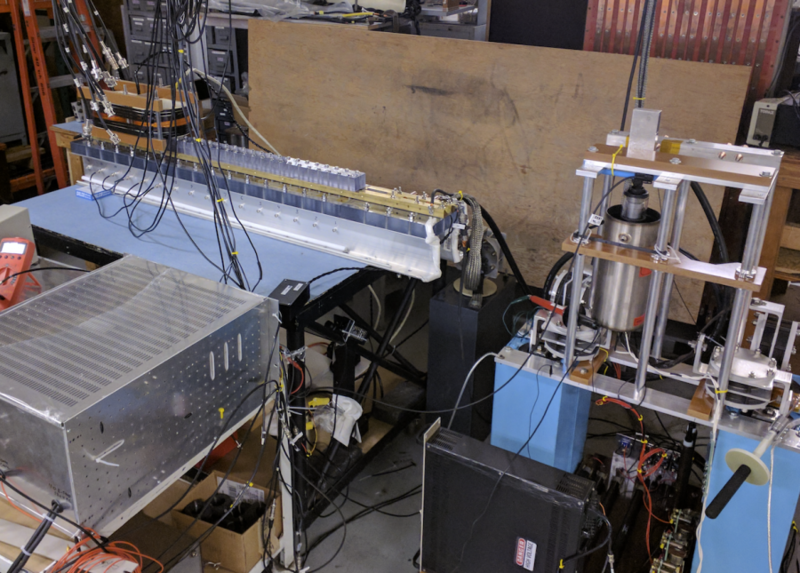 For that purpose, PPPL has developed a brand new intervention device, electromagnetic particle injector (EPI), which, with a function similar to railgun, is capable of injecting magnetic particle "sabot" into plasma, using magnetic force as kinetic energy. Like a shot, the particle disseminates in plasma quickly, causing reallocation of the energy in plasma and thereby reducing the effect of the breaking of plasma on the interior of reactor. In simulations by PPPL, when applied in international thermonuclear experimental reactor (ITER), EPI can prevent breaking of plasma within 10 milliseconds, compared with 30 milliseconds of a traditional gas propulsion system. Confident of the EPI system, the PPPL team plans to forge second- and third-generation EPI systems within three years before their application in Tokama reactor. Many scientists worldwide have collaborating in the development of nuclear fusion technology, which can produce massive clean power, at a scale much higher than existing nuclear fission technology. (Collaborative media: TechNews, on the left side of the first photo is EIP prototype, courtesy of PPPL0.